“What would it feel like if our phones were designed around people, not apps?” Zuckerberg asked the anticipatory audience. Perhaps the hoodie-clad CEO is too young to remember when men were men and phones were phones–before the app revolution. 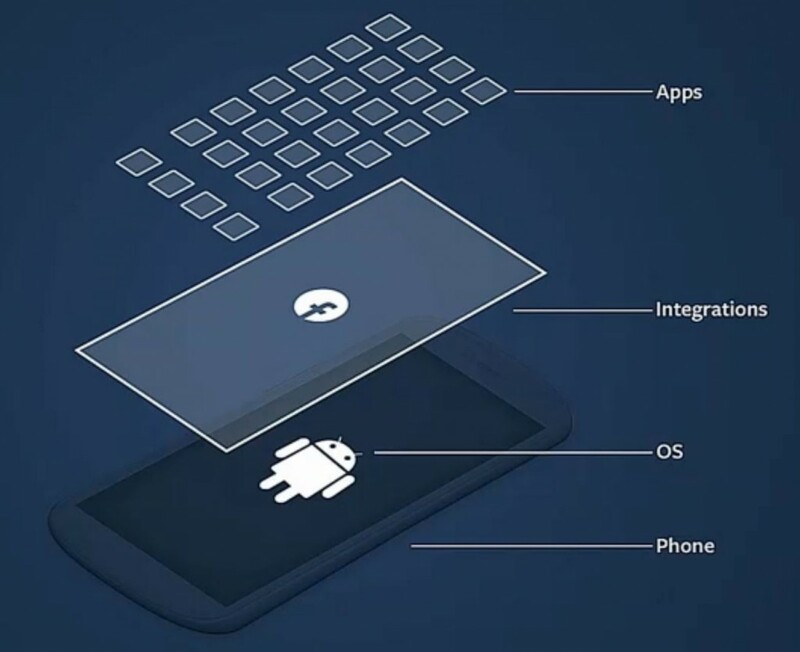 He proceeded to demonstrate an Android phone that was designed around Facebook–that is, people–with a unique User Interface that pushes News Feed items directly to your home/lock screen in a never-ending montage of social updates. That means you can check Facebook as easily as you check the time, and a “quick glance” at your phone has the potential to absorb you indefinitely. What they haven’t commented on, at least not directly, is that this friend-centric Cover Feed will also display posts from the business pages you’ve liked–allowing them to advertise right on your phone’s home screen. To marketing mavens, Facebook Home is like a free-to-advertise billboard in your pocket. A less-foreboding feature is what Facebook is calling “Chat Heads”: a clever merger of texting and Facebook Messaging that might be the best thing about this new interface. A Chat Head is a pop-up bubble that appears when someone messages you, even if you’re in another app, allowing you to continue to chat while doing other things. The bubbles show each person’s profile image and can be placed anywhere you like–just drag them to wherever is convenient. Even if Facebook Home flops, I think the Chat Heads are a brilliant solution for mobile messaging, and I hope they inspire OS developers across the board to rethink messaging. 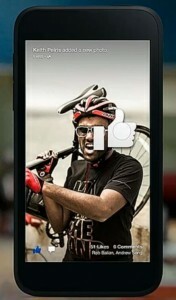 Facebook Home layers on top of the Android OS like a skin. For a long time, blogs have predicted that a Facebook phone was coming, and now the prophecy has been fulfilled (sort of) by HTC. After the presentation of Facebook Home, HTC CEO Peter Chou stepped forward to unveil a brand new model: the HTC First, the “ultimate social phone.” Styled with the Facebook “f”, the First is a joint effort between the two companies, as well as AT&T, and it will come preloaded with the Home interface. Chou’s reveal drew cheers from the audience, as they raced to be the first to Tweet the news. 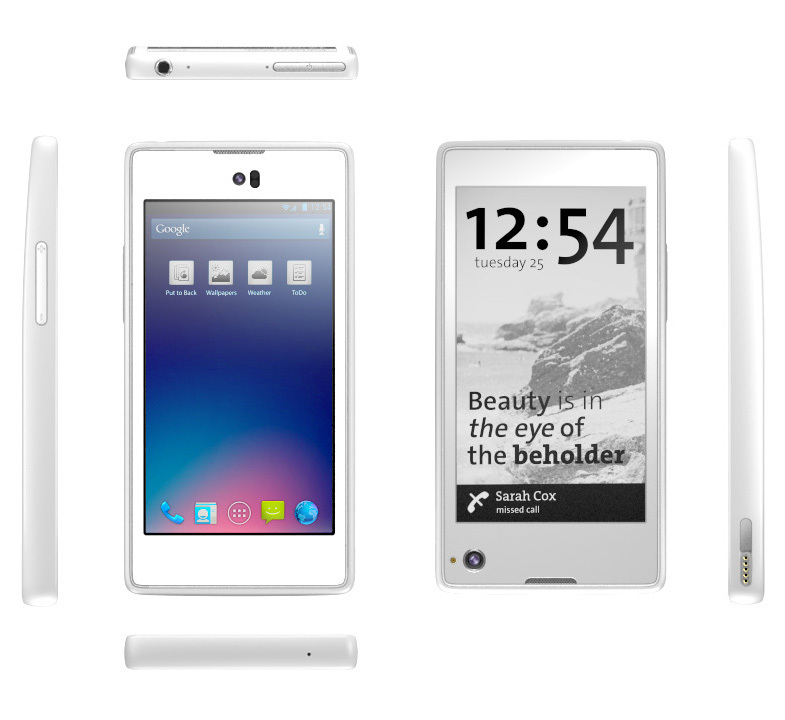 The First isn’t exactly the Facebook phone that people expected, but that might be a good thing. For one, it runs on the Android OS. “You don’t need to fork Android to do this,” Zuckerberg said, addressing the rumors that have plagued the Internet lately. Facebook Home is less of an operating system and more of an ambitious app–a symbiote, of sorts, that needs Android as its host. Think Venom, from Spider-Man, but (hopefully) less parasitic. Chou also delivered the news that the First was available for pre-order immediately, and that the release was a mere week away. On April 12th, AT&T subscribers will be able to buy the new Facebook-based phone ($99 with 2-year contract), and anyone who already owns an Android phone will be able to download Facebook Home for themselves. I can’t help thinking that Facebook Home is just another step in the direction of assimilation–soon, we’ll all be aware of all of each other’s experiences at all times. Star Trek introduced us to the Borg, a dangerous alien race of cyborg drones linked by a hive mind. They assimilate other species and connect them to the hive mind with cybernetic implants. We are right on the brink of an era of wearable technology–Project Glass, the iWatch, and so forth–and after that, electronic implants will be the next logical step, and then Facebook and Twitter will physically be a part of you. 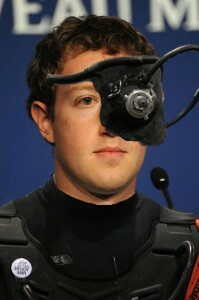 Who’s to say that social media didn’t form the Borg? Even some of the Facebook Home sales pitch resembles hive mind propaganda, with promises of omniscience and a shared sense of home: “We want to bring this experience of having a home, of always knowing what’s going on around you, right to your phone,” says Mark Zuckerberg. Other images courtesy of Facebook. Brent Urmey is an avid reader and writer on a variety of subjects, including social media, SEO, the Wireless industry, and life in Lancaster County, PA. He is a graduate of Drexel University and a survivor of the 2012 Mayan Apocalypse. You can connect with Brent on Google +. Russian Challenger Enters Smartphone Fray: What’s Their Secret Weapon? Death of the Cool, Dawn of the Weird? In Defense of the Transparent Smartphone Better SmartPhone Batteries Coming Soon?